Red Sky Sails specializes in sail repair which will meet or exceed the design and quality of your original sail. The type and construction of the cloth and weight are taken into consideration when fitting a repair to your sail. We work on sails of all types of materials, from keelboats, multi-hulls, windsurfers, kite sailors, and model boats - or even faux sails for decoration or shade. 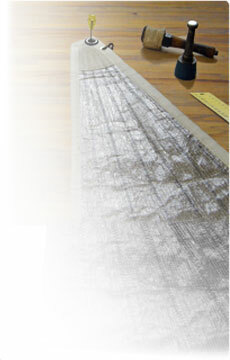 We are performance oriented sailors who take pride in maintaining every customer's sail as if it were our own. You can rely on us for all aspects of repairs, performance modifications, periodic maintenance, graphics, and more. Examples of some of our services are: batten replacements and ugrades, sail slides, loose footed mains, luff deductions for furlers, UV protection, Stack Pack conversions, sail recuts for performance and/or improved fit, cunninghams, flattening reefs, reef points, windows, tell tales, draft stripes, etc.